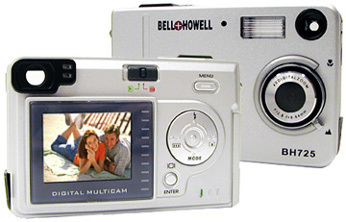 BELL & HOWELL BH-725 DIGITAL CAMERA Limited Edition Digital Spycam w/Flash, 4X Digital Zoom & 1.5" TFT COLOR LCD BRAND NEW! The Bell & Howell BH725 Digital Camera is the ideal camera to tuck in a pocket or purse and gives you high-quality, high resolution photos almost anywhere at an amazing 6.0 Mega Pixel resolution! Capture those great moments in your life with an easy to carry camera! Preview pictures from the LCD screen to instantly tell if the picture is a keeper. The camera also features a 4X Smart Zoom that intelligently uses the full CCD to let you zoom into your area of interest. The 1.5" TFT LCD monitor provides a high resolution view while shooting. The BH725 Camera has an aluminum shock-proof body housing, making it incredibly durable. One Touch Video Recording allows you to capture all the action in streaming video, and play it back at the touch of a button! The powerful FLASH allows you to take quality pictures both indoors and out! Enhance your photos & add special effects with the ULEAD Photo Explorer 8.0 Software Package! You can even create your own slideshows with music and narration. Lowest Priced 6.0 MegaPixel Digital Camera On The Market! Internal Memory 16 MB; add SD cards for infinite picture capacity! Dimensions: W 3.5" x H 2.4" x D 1"
Our company offers only the finest products available and we make every effort to meet your high standards for quality products, accurate descriptions, reliable shipping and exceptional customer service. If you should experience a problem, question or concern, please contact us immediately. You can reach us by email at kww@nts-online.net. Please allow us several hours to respond.  ©CMC Inc. All rights reserved.